From the original store which opened almost twenty years ago, The Bridal Outlet has evolved into one of Irelands largest bridal stores, brides from all over have travelled to The Bridal Outlet in Dublin to find their perfect dress. Their luxurious 3,000sq ft showroom houses the top International Bridal Designers, stocking an unrivalled range of bridal gowns to suit all bride’s unique individuality and price point. We are by appointment only, to ensure there will be a fitting room and consultant available to advise on styles and silhouettes that will suit you. However, if you happen to stop by without an appointment we will always try to accommodate you, but priority will be given to those with an appointment. Our appointments are approximately one hour and a fifteen minutes. Exclusive stockist of Irish Designer Margaret Moreland. Premier stockists of International Designer Justin Alexander, Signature and Mori Lee by Madeline Gardiner, Mark Lesley Bride, Chic Nostalgia Bohemian chic. 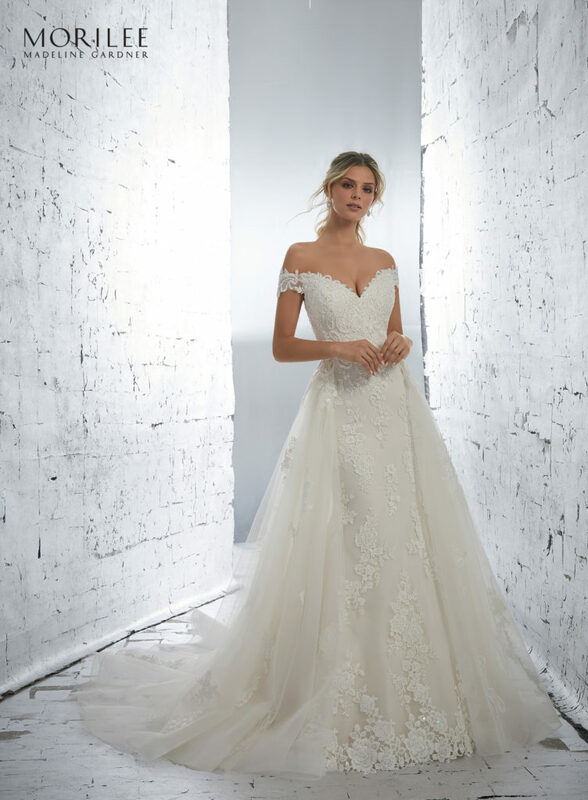 AF Couture by Madeline Gardnier, Randy Fenoli, Sottero & Midgley by Maggie Sottero, Lusan Mandongus, Annasul Y, Tres Chic, Allure, Madison James, Wilderly, Sincerity, Sweetheart, True Bride Diane Le Grand, Herve Paris, Lillian West.